Please ensure that long hair is tied back and covered shoes are worn. Do you like sewing? Do you love your bobbins, buttons and thimbles? Would you like to make something special for a friend? This special workshop has a wonderful sewing theme to it. It was inspired by Helen’s love of sewing and embroidery, and the requests of her workshop regulars. 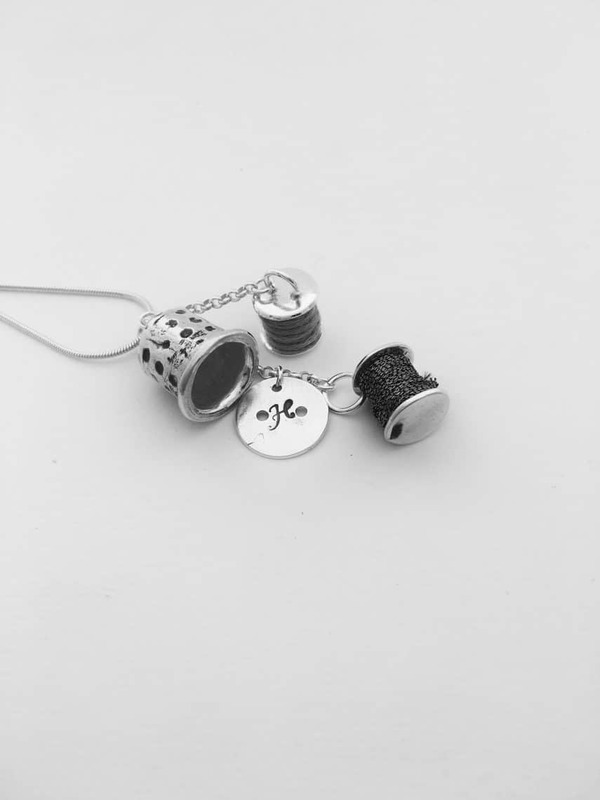 It would be lovely to make for yourself or give as a gift for your sewing friend. 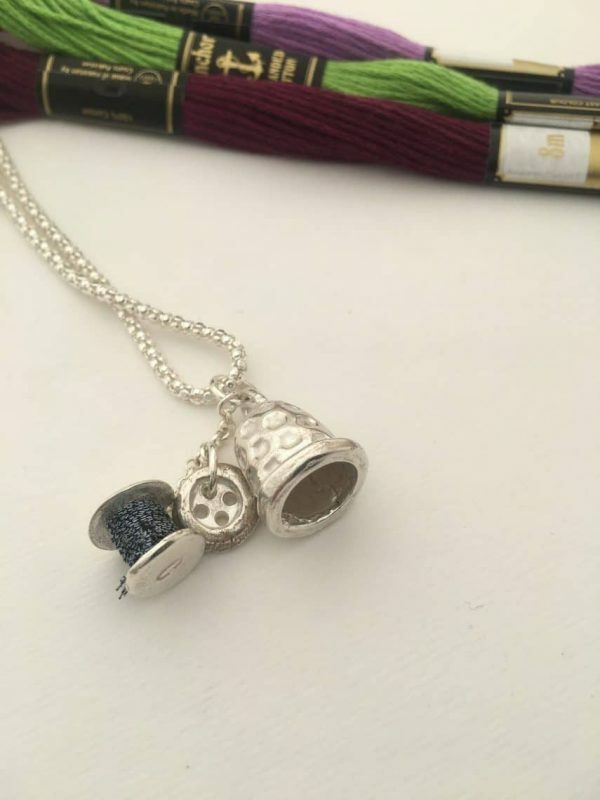 In this new workshop you will learn how to create a mould for your favourite button, recreate it in silver, make a pretty little bobbin and decorate it with thread, and make your very own silver thimble. These all make pretty charms for a bracelet, or look wonderful on a long chain together. The course includes 16g PMC Flex, and all tools and materials needed to produce these pretty silver charms. Helen has plenty of buttons, but if you have some you’d like to re-create in silver, bring them along. 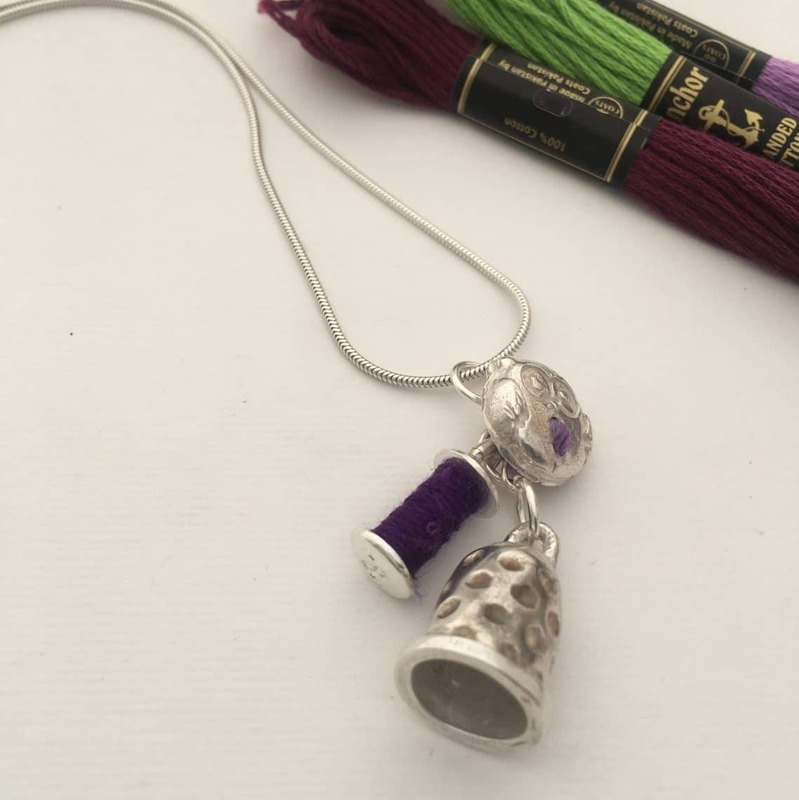 The Bobbins, Buttons and Thimbles Silver Jewellery Workshop is run by Helen Drye, the designer and maker behind Silver and Stone Jewellery Design. 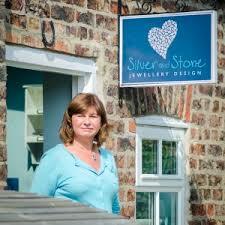 Her work is inspired by Skipwith Common Nature Reserve near her Studio, near York. She creates a range of little pictures of the Common in silver, glimpses through the trees: mini works of art. 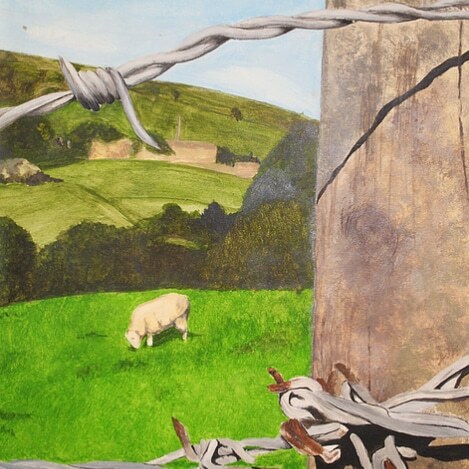 Her work features the trees and the birds from the Common with the moon shining through the trees. Check out Helen’s other jewellery making courses: Silver Fidget Ring Jewellery Workshop and Silver Bangle Jewellery Workshop.